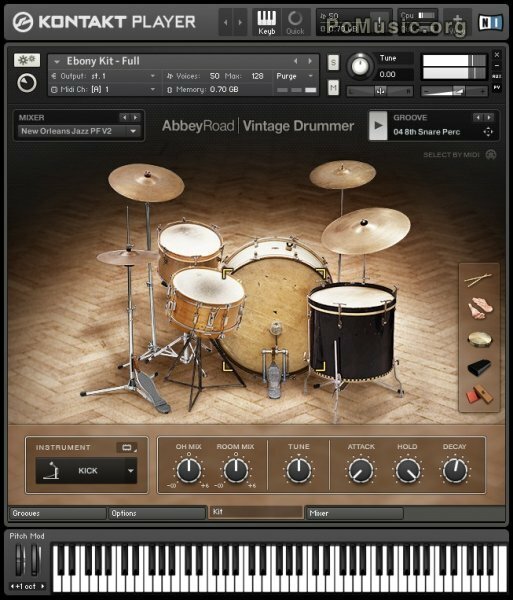 Native Instruments today introduced ABBEY ROAD VINTAGE DRUMMER, a new KONTAKT instrument that features the sound of two vintage drum kits from the 1940s. Both kits were recorded with a combination of state-of-the-art equipment and period microphones at Abbey Road Studios in London, providing a natural, open sound suitable for contemporary productions. For the first time in Native Instruments' successful ABBEY ROAD Series, VINTAGE DRUMMER includes brush articulations especially recorded to provide the authentic sound and style of the swing/big band era.